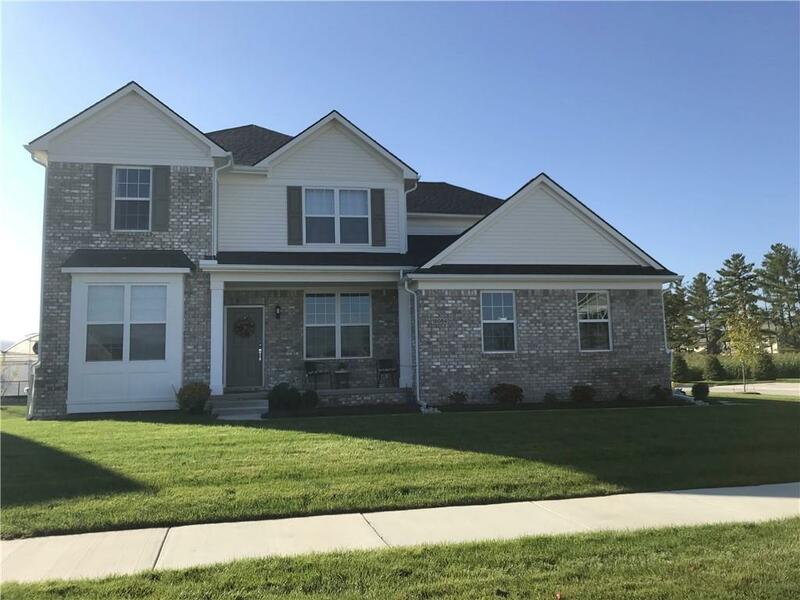 A NEW stunning two story 4 bedroom, 2 bath Colonial home with open floor plan at beautiful Deneweth Farms of Macomb neighborhood. Beautiful french doors and windows. Exquisite curb appeal complete with front porch and brick/vinyl siding. Gorgeous sun room with vaulted ceiling and lots of natural light. Custom kitchen with premium granite counters and new built in stainless steel appliances. Spacious laundry room with ceramic floor. Executive private office/library on first floor. Additional 1/2 office next to pantry room. Beautiful engineered hardwood floors and carpet on first floor. Mud room and side entrance three car and storage garage. Beautifully layout out with spacious family room and wonderful tray ceiling at dinning room. Second floor offers a wonderful and cozy carpeted den. Beautiful master suite with large upgraded tiled floor/wall master bathroom, granite counter tops and two spacious separate walking closets. Other three bedrooms offer walk in closets.